I’m sure you will agree with me that there is a bit more to selling your chiropractic business than placing a “chiropractic practice for sale” ad and waiting for the right buyer to drop in your lap! After all, you’ve seen the ads. 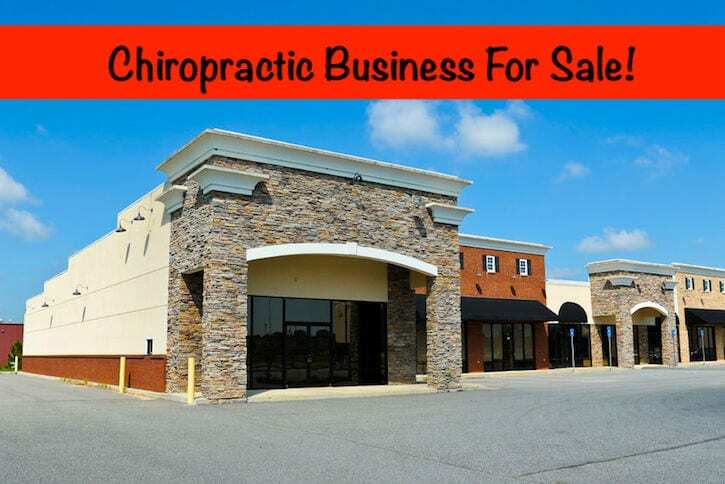 Most usually say something like “Established Chiropractic Practice For Sale” or “Turnkey Chiropractic Practice For Sale” and go on to mention something about how well-established, solid or attractive the business may be. Many point out that the practice has a ton of potential. And, yet you will see a ton of those same ads again and again, for months or even years on end. Clearly, the chiropractic practice has not sold yet, for some reason. You can dramatically increase the number of prospects that will look at your “chiropractic practice for sale” ad and decrease the time it takes to actually sell or transition your practice. In fact, after more than 10 years of helping chiropractors transition out of practice via their associates, a practice sale or one of a number of “non-traditional” routes, we’ve observed three BIG things that WILL help your chiropractic practice sale go smoothly and successfully. Why Most Chiropractors Get the Timing of Their Sale or Transition DEAD WRONG! 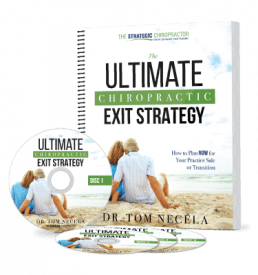 There is one universally challenging item to overcome in order to maximize the value of your chiropractic practice for sale. It is simply this: the timing of when you make the decision to sell or transition your business makes a huge impact on your chances for success. To get timing right, it’s best to focus on what is in your control. For example, in our popular webinar, Sell, Switch or Slow Down: How to Maximize the Value of Your Chiropractic Practice Sale or Transition and Minimize Costly Mistakes, I teach a concept called the “Sell Curve.” In a nutshell, if you were to imagine a standard bell curve, you’d naturally want to sell at the top. We don’t have the space to discuss all the aspects of the Sell Curve here, but the message is clear: many chiropractors wait far too long to sell or transition their chiropractic practice. A final word on timing. 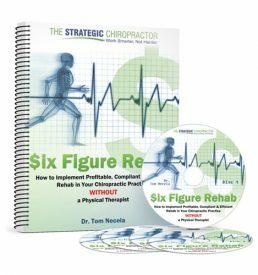 In my experience, two of the big reasons that the “chiropractic practice for sale” ad launches too late is that (1) the average DC does not realize how long it takes to find a viable candidate for their sale or transition and (2) they also fail to understand the steps and proper sequence that are involved in successfully selling or transitioning their practice. Peak Performance or Practice Potential: Which Matters More? The second item that will help your practice sale go smoothly is tied directly to the performance of your practice. Here, you need to imagine the average buyer who responds to your “chiropractic practice for sale” ad. They are likely younger in age, have only a few years of chiropractic experience under their belt and (in most cases), they have zero experience running a business. Therefore, practices whose performance is declining rapidly or has been stagnating for a long period of time may pose a challenge to the average buyer that they aren’t prepared to handle. Consequently, it can scare them away from your business because they don’t have the confidence to pull your practice out of the toilet or resurrect and restore it to its former glory. Sure, I know your business has potential. But every business has potential, including a startup. When you are selling a practice, your buyer will likely be interested in the future profit potential but they absolutely are most interested in the current performance of your practice. And obviously a practice that is performing well is way more attractive than one that isn’t. The remedy: here’s where the performance of your practice is tied to the timing of when you launch your sale or transition plans. And here’s where many chiropractors go wrong. If you wait until your performance drops too low, not only will you lose value in terms of what your business is worth, but you will also lose interest from potential buyers. If ever there was a silver bullet in to chiropractic business sale, it’s this: When chiropractors place that ad announcing their “chiropractic practice for sale,” they rarely consider their own personal flexibility in the context of how it will affect their sale or transition. Despite this – flexibility may be the “secret” ingredient to your sale or transition success! If we discuss your business transition and you let me know that you need to sell within 4 months, for a million dollars (even though you’ve never collected that much) and to a woman from Wyoming who matches your eclectic technique, I’m going to tell you that your chances to get hit by lightning are probably greater than your chances to succeed. It’s not that you can’t sell quickly, you can, but it’s obviously more challenging to speed the train up because you can’t rush a buyer into a sale — especially if you want top dollar. Similarly, I’m sure there are female chiropractors in Wyoming looking to purchase and I’m sure there are candidates who could match (or learn) your style – no matter how eclectic it may be. The challenge in both of the above examples centers around your flexibility – or lack of it. Specifically, why not accept a good candidate from one of the other 49 states? I’ve met many good people from Wyoming and not surprisingly, many from other states too. And what about that timeframe? Can we be a little flexible here? Many docs have a date in their head and a goal that they want to retire. But is that really set in stone? All things equal, you still can sell or transition if you are less flexible, it just either decreases the odds that you will do it on your terms and/or increases the amount of time it takes to produce your perfect fit. On the other hand, the flexible doc is the one who can make many situations work and will increase the amount of prospects that fit the profile which, in turn, tends to decrease the amount of time needed to get to the goal. Before you place the ad for that “chiropractic practice for sale” I hope you carefully consider these items so that you can transition well. It’s not a complete list of all the things you need to do to sell or transition successfully, but it is one that you cannot afford to ignore. In fact, if you are contemplating your business sale or transition and feel that there are many items to consider and necessary steps to navigate so that you can maximize the value of your practice, you are correct! I’m admittedly biased because part of our business is helping chiropractors to transition or sell their practice, but the process of ensuring that your life’s work, your patient’s well-being, your future income stream and a major piece of your retirement puzzle is handled successfully means that it’s a rare chiropractor who can sell or transition their practice for maximum value as a part-time do-it-yourself project. Put another way, there is too much to risk to do this all alone. So if you need help in this area or want to discover additional strategies for setting yourself up for a great transition or sale, check out our FREE WEBINAR: Sell, Switch or Slow Down: How to Maximize the Value of Your Chiropractic Practice Sale or Transition and Minimize Costly Mistakes.